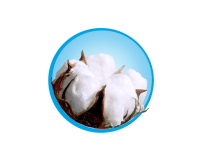 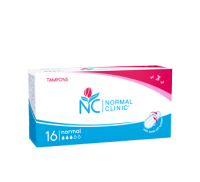 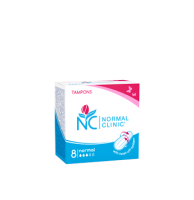 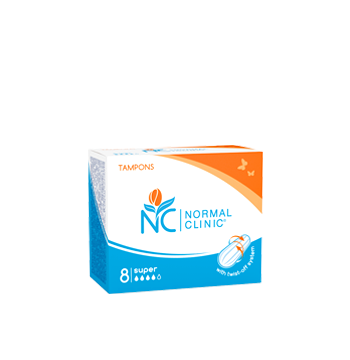 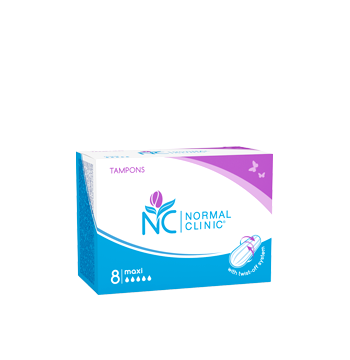 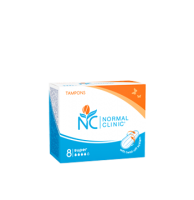 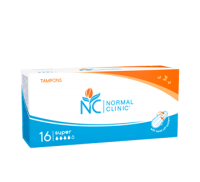 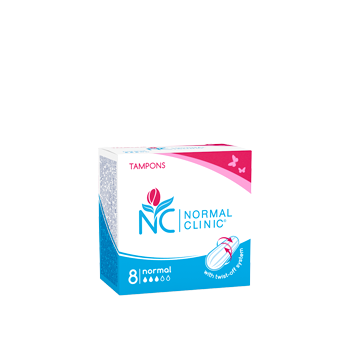 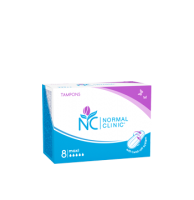 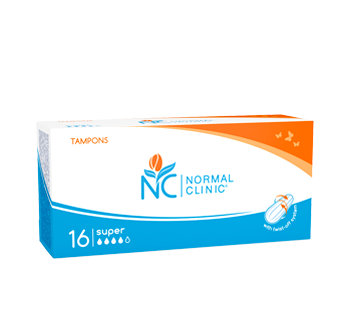 NORMAL clinic® tampons are made of soft natural cellulose ­fibers with high absorbing capacity. 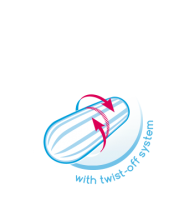 The delicate surface makes them easy and comfortable to use. 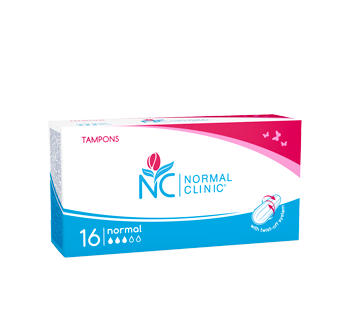 The individual package of NORMAL clinic® tampons is easy to remove thanks to the innovative Twist off system. 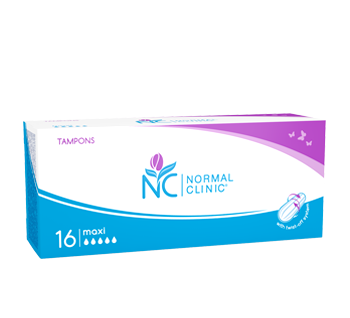 Tampons are offered in three sizes: normal - for medium and normal flow; super - for heavy flow and maxi - for very intense flow, in packages of 8 or 16 count. 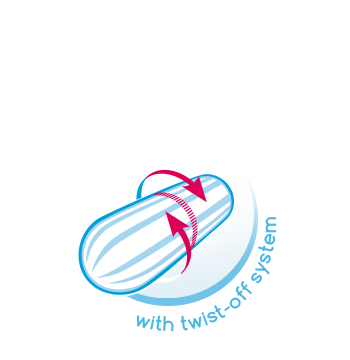 Twist-off system allows removal of the tampon from an individual packaging with one move.